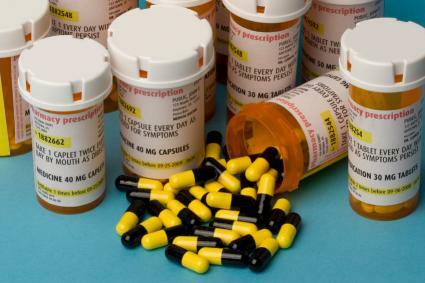 Many people struggle with knowing how to properly dispose of leftover or expired prescription medications. These medications, if taken by a person not on the prescription, may have dangerous health effects. They may also serve as an attractive nuisance for someone who abuses prescription drugs. Proper disposal of medications will help protect others in your home. When you receive a prescription medication, carefully read the package insert or pharmacist's instructions that come with the drug. In some cases, it may contain instructions for disposal of unused medications. If it does, always follow the instructions that come with the medication. Otherwise, you may need to follow different procedures. Why Do Opiates Give You Energy? According to the DEA's rules on disposal of controlled substances, some local law enforcement agencies may sponsor drug take-back days in your area. They also have the authority to sponsor pharmaceutical mail back programs. Check with your local law enforcement to determine if and when they occur in your area and dispose of your drugs there. DisposeMyMeds.org offers a searchable database to locate pharmacies near you that participate in this program. You can also ask your local pharmacist for recommendations about pharmacies that participate. According to the DEA's Disposal Act Fact Sheet, people allowed to return prescriptions must be ultimate users. In other words, it must be a prescription belonging to you, someone in your household, or one of your pets in order for you to be allowed to return it. The National Association of Drug Diversion Investigators has placed secure drop box locations throughout the country. You can drop your drugs off in these secure drop boxes. To find drop boxes near you, search the website's comprehensive database. Remove the drugs from their individual containers. Put them in a sealable can, bag, or container so the drug won't leak. Add an undesirable substance such as used cat litter or old coffee grounds and thoroughly mix them with the drugs. This will make them less attractive to pets and children. Throw them in the trash. Remove all personally identifying information from the medication container by scratching it off or using a permanent marker to hide it before disposing of the container. Although flushing down the toilet or sink is usually not the desired method of disposal, the FDA notes that some drugs are so potentially dangerous to other people that the best and safest way to dispose of them is by flushing. If you have the drugs on the FDA's list, then dispose of them by flushing them down the sink or toilet in order to keep others safe. The National Community Pharmacists Association Foundation (NCPA Foundation) recommends making a quick call to your pharmacist before you dispose of medications may also help you learn the best way to get rid of unused drugs. If your medications don't come with disposal instructions, the US Library of Me​dicine'​s DailyMed has a searchable database in which you will find them. This is a good way to learn the best method for disposing of the medications you have. When disposing of unused drugs, there are several methods you shouldn't use. Throw away medications in their original containers. Throw away pills or medications without putting them in a leak-proof container. Throw away pills or medications without mixing them with undesirable substances. Crush pills or medications before throwing them away. Flush medications unless they are on the list provided above. The Environmental Protection Agency notes that flushing only those medications recommended for flushing helps protects rivers and streams and keeps medications from seeping into the groundwater. Throw away pill containers without hiding your personal information. Safely disposing of your medicine protects people, pets, and the environment. Before you throw away a bottle of expired or unused pills, take the time to learn the safest way to dispose of it.